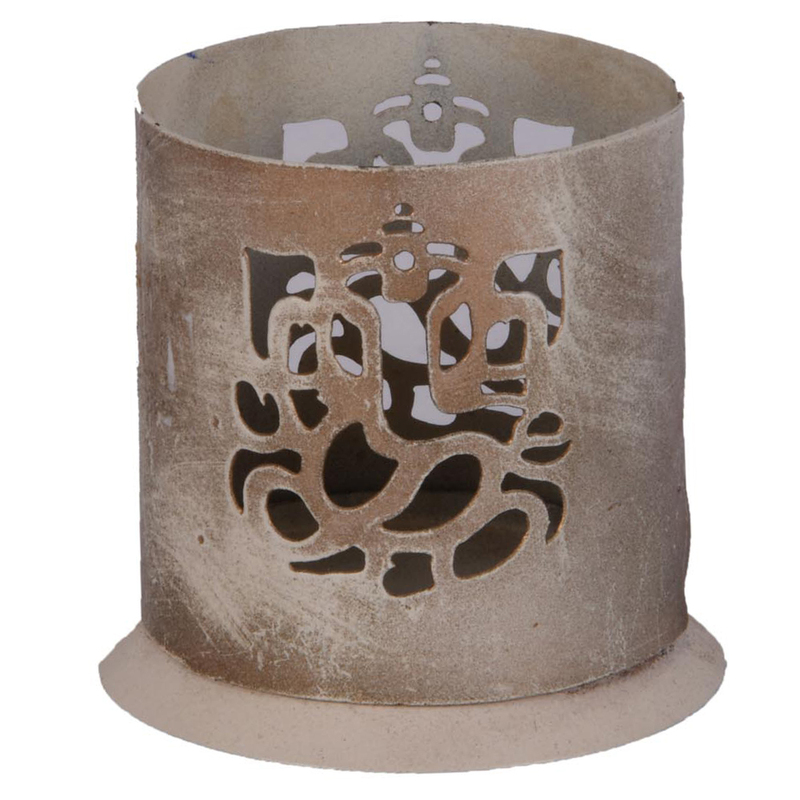 This metal white colour cutting ganesh candle hanging is a great choice as a gift, all year round. Get this at the best price on the internet. The iron candle hanging with white colour finish offers more in terms of decoration than regular candle holders. 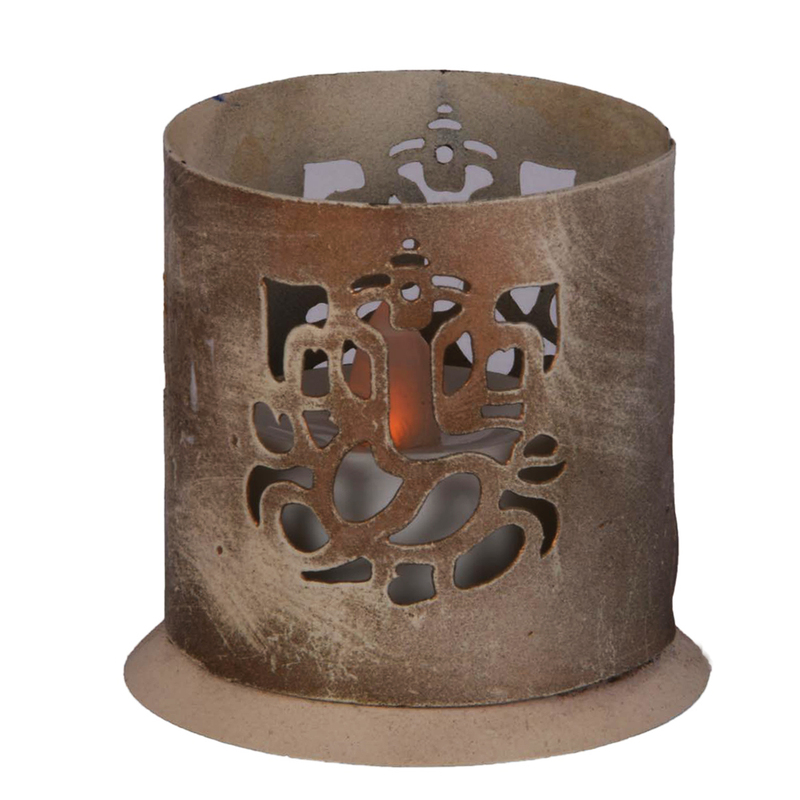 This candle holder is used more as Read More..a decorative piece as the design is suited more for decoration than illumination. The cut out of lord ganesh are on opposite sides from each other, which means that there are only two compartments for the light to go through,which is why it is more of a decorative piece. This candle hanging can go well with any background, and any set of accessories that it is put together with. Show Less..